Hurt and Abused by the church? I am just a man. Real. Raw. Transparent. A man who has lived through many battles within myself, as well as in my personal life. For some reason the great God of the universe has placed me in many positions that have caused great pain within, and I continuously wonder why? Maybe it is for a greater good? Maybe it is for the writings displayed here? It has taken me many years to accept some hard truths about this life, myself and the people who are all around us. Join me as I go through the struggles, victories and lessons. I strive to keep God through Jesus Christ at center. I hope that my words bring the reader encouragement, peace, joy, and a deeper appreciation for love. I also hope that we all see the real struggle that we all face in this life. May my writings bring someone, somewhere, thoughts that contribute to their own personal relationship with the Lord. Fighting lies with truth, one story at a time! Daily devotional - Sharing God’s Word..
God is the source; Jesus is the way; Spirit the guide. My brain doing a collab with these hands. "God's promise isn't that bad things will come. His promise is that there will be healing." 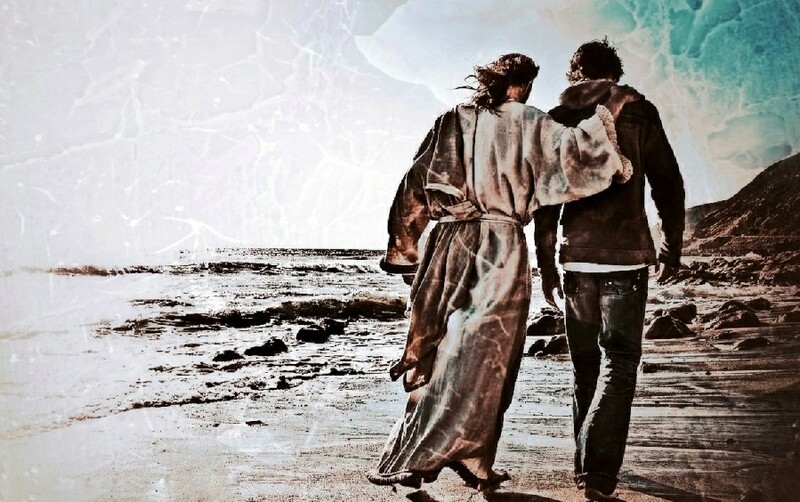 Following Jesus with a limp. I'm not in control, but I know the God Who is, and that's all I need to know. Just anything, from spirituality through to politics and science. Reflections from a Christian perspective. An inspirational devotion brought to you daily by Dean Burnetti.